With the Platinum level, you have a whole new window of benefits with Aeromexico and SkyTeam airlines. Earn 50% more Premier Points on the distance flown, check-in at preferential SkyPriority counters, enjoy upgrades paid with Points and free upgrades on Aeromexico up to 72 hours before your flight. With the Platinum level, you are at a distinguished position and automatically recognized as a SkyTeam™ Elite Plus Member worldwide. You can reach the Platinum level when accruing 80,000 level-qualifying Premier Points earned on Aeroméxico and/or SkyTeam airlines flights in the last twelve months. Make the most of your Premier Points and remember that they do not expire, if you have at least one accumulation in your Club Premier Account in the last 24 months. The Platinum Aeromexico Level is obtained by Club Premier Members (the "Members") who have accumulated at least 80,000 (eighty thousand) Tier Qualifying Premier Points for their flights made with Aeromexico and / or SkyTeam® Airlines (https://www.clubpremier.com/us/earn/airlines/skyteam/) participants in the current year. Tier Qualifying Premier Points for Platinum Level are those that Members accumulate for base distance flown between two points, multiplied by the base accumulation percentage of each fare class (https://www.clubpremier.com/us/earn/airlines/aeromexico/just-the-way-you-want). The level bonuses are not Premier Points for Tier upgrades. If the distance flown is less than 1,000 kilometers, 1,000 Premier Points will be taken as Qualifying Points. The Premier Points accumulated in bonuses by Cabin are also considered Qualifying Points. The Premier Points accumulated by Aeromexico Level are not qualifying Premier Points. Members belonging to the Platinum Level may obtain 1 (one) courtesy upgrade to the Premier Cabin, depending on the availability and restrictions of the fare family purchased. The Member will be automatically placed on the list, it is not necessary to request to enter to the waiting list. 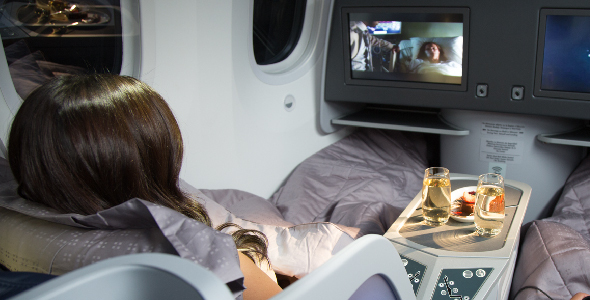 The upgrade benefit applies for Award Ticket and will be given according to the availability in class "O"
Additionally, the Club Premier Member could redeem their Premier Points for a Premier Class Upgrade on Aeromexico flights, in accordance with the Table of Redemption (https://www.clubpremier.com/us/about-us/award-tickets/aeromexico-upgrades/) and depending on availability in Premier Cabin on the participating classes. Courtesy upgrades do not apply for seat purchase with Premier Points and do not apply for companions. Courtesy upgrades will be automatically granted depending on the availability of courtesy seats in Premier Class "O". It will be granted regarding seniority with the TIER level and with respect to the reservation date. The accumulation of Premier Points for flights with Aeromexico will be made according to the distance flown between two points, applying the specific multipliers of each zone, fare family and fare class. * Flexible Family fare is only applicable in the Domestic, Caribbean and Central America markets. Club Premier reserves the right to take any action it deems appropriate should it detect frauds, fraudulent conducts or wrongdoing by Members with Club Premier accounts. PLM Premier, S.A.P.I. de C.V. reserves the right to suspend any Club Premier Member temporarily or to terminate them definitively from the Program for failure to comply with Club Premier’s Terms and Conditions or in order to protect its interests, notifying the Club Premier Member in writing 24 (twenty-four) hours in advance. Temporary suspension shall result in the Club Premier Account being disabled during its term. During said term, the Club Premier Member shall thus be unable to credit Points to their Club Premier Account and to Redeem or Exchange Points credited to their Club Premier Account. All Benefits generally granted to Club Premier Members shall also be suspended. Definitive termination shall result in the definitive cancellation of the Club Premier Account, of any Points accredited to it and of all Benefits granted to Club Premier Members. Enrollment into the Premier Club program (the “Program”) can only be done at www.clubpremier.com, hereinafter referred to as “the Web Page”. Premier Points and this promotion will be subject to the rules of the Club Premier Program, available on “the Web Page”. Club Premier reserves the right to amend Plans, the amount and the Benefits at any time, without prior notice. Enrollment into the Program does not guarantee the availability of any reward in the Club Premier Program. Club Premier is not responsible for Members’ ability or inability to use, exchange or redeem Premier Points earned by signing up for the Program or the Promotion. Should any enrollment to the Program or the Promotion be used by Members for improper purposes or unduly obtained from a Bank Card, fraud or any other unlawful means, Club Premier may, at its sole discretion, cancel, void, refuse to honor and/or confiscate them and pursue any and all rights and remedies that may be available. The Member agrees to cooperate with all reasonable requests by Club Premier aimed at investigating or taking legal action against any party involved or any party suspected of being involved in the unlawful use of enrollment into the Program or signup to this Promotion, of committing fraud with such enrollment or signup, of fraudulent conducts or wrongdoing by Members in connection with Club Premier Accounts. The member accepts the awarding and use of Premier Points are subject to the Club Premier Program terms, conditions, exclusions and limitations. The validity of credited Premier Points will be governed by the current Premier Point Validity Policy and by the Club Premier Program rules. Premier Points referred to in the Club Premier Program are not actual physical points, but a representation of credits in the Club Premier Program. Said Points are not equivalent or convertible to cash currency. By accepting and participating in this promotion, you expressly authorize Club Premier to transfer your contact information (name, member number, phone number, e-mail address) to American Express® / Membership Rewards® and to third parties subcontracted by Club Premier to grant the benefits of this promotion. Said data may also be transferred to companies appointed by Club Premier for such purpose (including, but not limited to, hotel chains, airlines, ground transportation services and the like). In accordance with the Federal Act for the Prevention and Identification of Transactions with Illegal Proceeds and as a result from certain activities by Members deemed vulnerable activities by the authorities, Club Premier shall share your Personal Data with the relevant authorities. The information contained in Notices given to the relevant authorities shall be used exclusively to prevent, identify, investigate and sanction transactions with illegal proceeds and associated crimes. The aforementioned personal data shall be safeguarded under the terms of the Political Constitution of the United Mexican States. These Terms and Conditions, in connection with their interpretation or compliance, shall be governed by the Law and jurisdiction of the competent Courts in Mexico City, waiving any other jurisdiction that may correspond to them by reason of subject-matter or present or future address. Upgrades from Economy Class to Clase Premier without charge on flights operated by Aeromexico for you and a companion up to 72hrs. before departure. Terms and conditions tab *Subject to availability in the Premier cabin in participating classes. Get an additional 50% Premier Points' bonus on the mileage flown, when traveling to any destination on AM and/or SkyTeam™ airlines paying any published fare. Priority in delivering your luggage. Priority in handling your luggage. Award Tickets (air tickets without fare cost), for yourself or who you indicate, upon request up to 11 months prior to the departure of your flight. Refer to the redemption chart. Subject to availability. Priority on the wait list at the airport and when making reservations to travel with AM or SkyTeam. As Platinum Member and flying with Aeromexico, you can check an additional bag free of charge with a maximum weight of 32kg*.